(Photo: Derek Storm) What do two New York Times best-selling rock & roll authors do when they join forces? They get together and they cook! 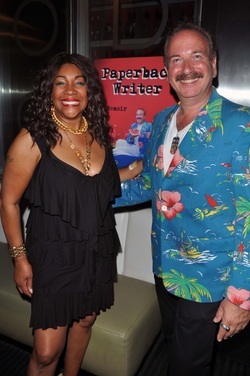 Between Mary Wilson and Mark Bego, these two have met, worked with, been friends with, and/or written books with a virtual who's who of the rock & roll world. Wilson and Bego have always wanted to share their common love of great food, recipes, and rock & roll, and this colorful blog is their chance to do so.